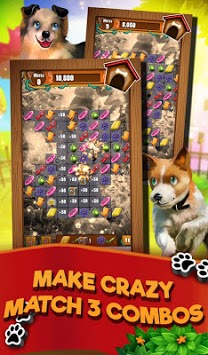 Explore unique lands, collect rare treasures & get involved in the match madness as you mix and match special tiles to create crazy match 3 combos and solve relaxing puzzles. 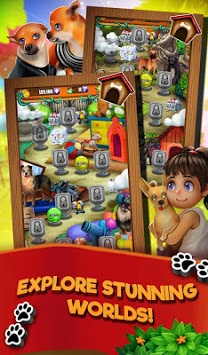 The gameplay is simple and relaxing, just match 3 or more tiles to clear them off the board. Matching more tiles at a time creates special tiles with unique effects – matching special tiles together will create insane combos guaranteed to give you HUGE scores! ⭐ Unlock HD artwork – it’s yours to keep! ⭐ Free rewards and coins just for logging on! Whether you’re commuting to work, need a relaxing puzzle to play on holiday or you just want the perfect anti stress game to unwind after a long day, you’ll have hours of fun playing this free matching game. Best of all, no wifi needed! 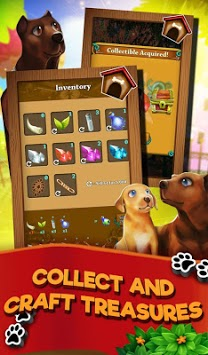 Our first release of Match 3 Puppy Land! We are still working on more content so stay tuned for updates coming over the next weeks!